Well, for those that don't know, I have been working at Microsoft for the last 1.5 years as a contractor on the Microsoft Band. I have spent that time with the Microsoft Band SDK team and helped with test automation and testing first. Then I moved into feature development on the Band SDK with the majority of that contribution on the Microsoft Band WebTiles for iOS feature. Friday was my last day as a contractor at Microsoft on the Band Team. Today, Monday, November 9, 2015, as you read this I am likely sitting in a New Employee Orientation session. Today is my first day as a Full Time Employee at Microsoft. I am staying with my team and will be continuing to contribute to the Microsoft Band SDK Team. I will be helping to implement upcoming features and continue to improve the Band SDK for 3rd Party Developers. It's an exciting day. I am happy to join my team as a Full Timer and continue to improve the Microsoft Band. I've just bought Microsoft Band 2, I'm so excited to create new applications (I'm iOS developer). It was nice to found that this blog owner is one who contributed into great device development and features. If possible, could you please answer the following questions? 1. If there are any plans to continue Microsoft Band iOS SDK development? 2. 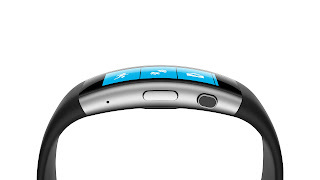 Will there be any new firmware updates to Microsoft Band 2, like improving battery life etc? Thank you for creating a really cool device!